In 1997 he graduated from the Academy of Fine Arts in Florence with the maximum degree. He began to collaborate as author and director with the most important production companies in Florence and Milan, working in various corporate and commercials for Italian and international brands such as Danone, Peroni, Agip, Eni, Fisher Price, Mattel, General Electric, Phonak, Pininfarina and Intel. At the same way he began working as a painter, cartoonist and graphic designer. His first short film Self Portrait was selected at the Florence Film Festival in 1996 and it is the begin of his storytelling career. and the Best Foreign Fiction at Sea to Sky Film Festival in Vancouver (Canada) in 1998. In 2004 he wrote and directed The Intruders, a TV program that mixed fiction and candid camera, where he showed his attraction for a grotesque scenery and hyperbolical characters. In 2006 he wrote and directed Milano in Musica Il Film, a 40 minutes documentary produced by Chrysalis and broadcasted on Rock TV (Sky). In 2008 he wrote and directed Tiramisù, a short film multiple Festival – selected (Portobello Film Festival 2009 in London, UK) and awarded as Best Short at Corto Fiction Film Festival 2009 in Chianciano Terme (Italy). In this short he provoked the audience through presenting a real human drama with a style that combined photo-novel and stop-motion animation. In 2009 he directed “Smile Angels” a 6 episodes (25 minutes each) TV program inspired by The Big Brother success. Hosted by Guendalina Canessa and broadcasted in 2010 on Sky TV. language feature film, an Italian – British – American co-production with an international cast. In 2012 he wrote with Inga J sempel and directed Poor Unfortunate Souls, an English language short film, produced by Storm and Light Pictures. It was selected in numerous Film Festivals such as UK Film Festival 2013 and it was awarded at Trani Film Festival 2013 and Fano Film Festival 2013 in Italy. Florence and Milan and a super heroes one, shot in English for the international market. In 2014 he wrote with Inga J sempel and directed The Starmaker, an art short film selected in various international Festivals and shot with an international team from Italy, UK, Russia, Spain, Finland and Argentina. 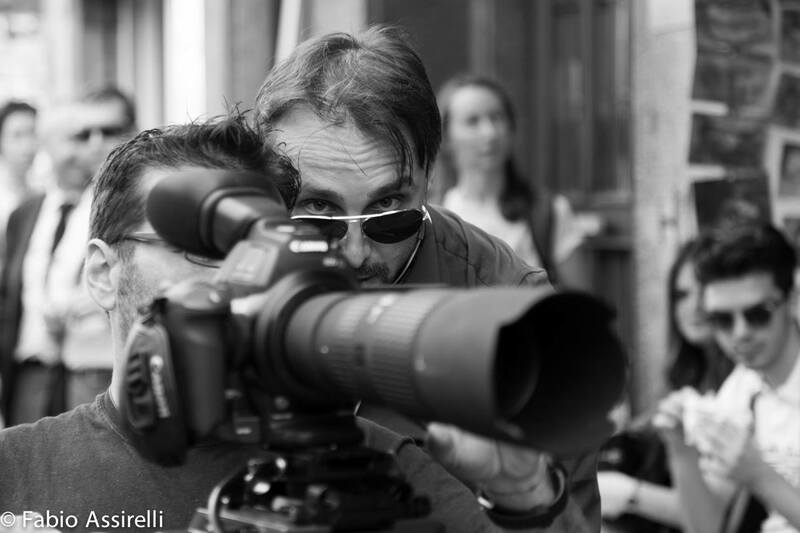 In 2015 he directed Florenza an English language feature film, produced by Michael Curylo with an Italian and American cast and crew. After this experience he is accredited to major Film Festivals and Markets in the world, such as Cannes, Venice and Rome. In this year he began to work in Ukraine shooting fashion films and organizing casting and beauty contests.This activity is still running in the present days. In 2016 he began a collaboration with Youtoo Digital as company’s film director. (www.youtoo.digital). In 2017 he got a contract to teach fashion film direction in the Master in Fashion Photography and Film at Istituto Marangoni school of fashion and design in Milan (www.istitutomarangoni.com).